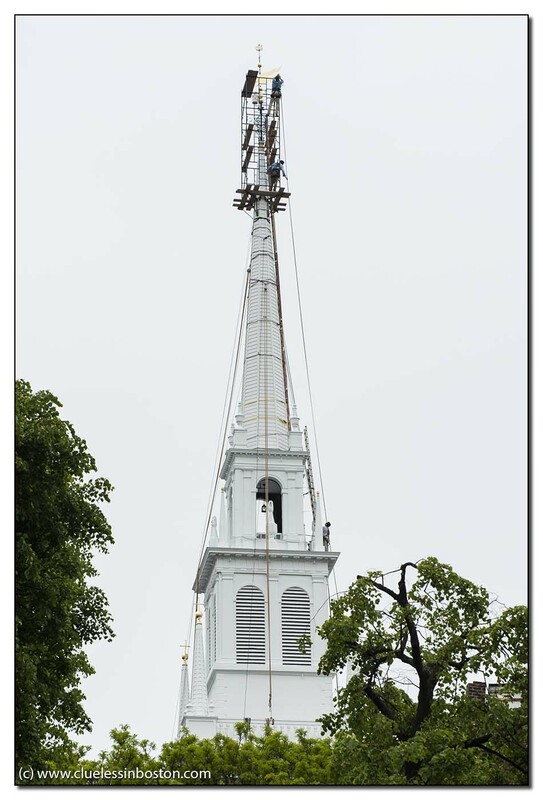 Steeple repair, Old North Church, North End. I suffer from bad vertigo, I have no idea how guys go up there. The kind of job I could never do! But I like to see those men working, and I envy the view they can enjoy while working! I think they work hard! 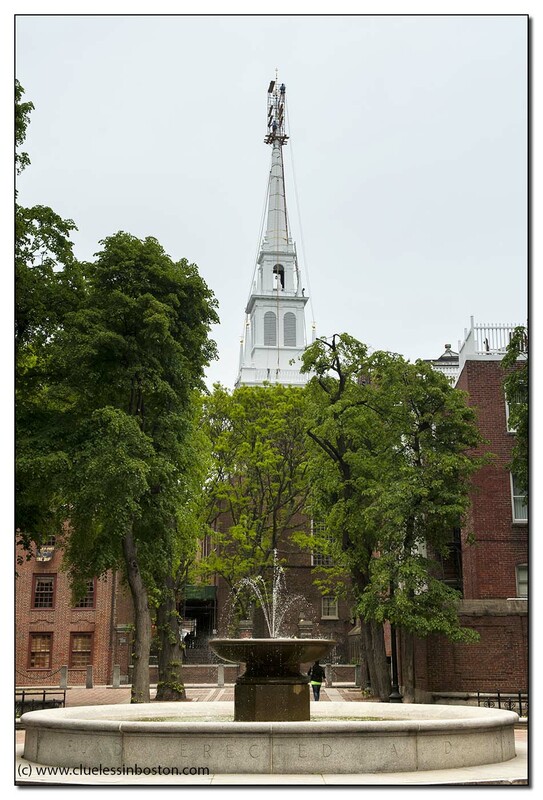 Wow, that is an impressive, steep steeple! I'm glad they are repairing it, it looks like it might be quite easily damaged. Just last month took in this scene from a little Italian bistro. Great bottle of Reisling.